How Can You Specialize an Education Degree in Autism Spectrum Disorders? If you want to work with children with autism, you can specialize an education degree in autism spectrum disorders. People with the skills and knowledge to work with these children are in demand because autism is the fastest growing developmental disability in the world. In fact, it is growing at a rate of 1,148 percent. To understand the kind of education background you need to help this population, you should understand what autism is. The Mayo Clinic defines autism as a “neurodevelopmental disorder that impairs a child’s ability to communicate and interact with others. It also includes restricted repetitive behaviors, interests and activities. These issues cause significant impact on social, occupatio0nal and other areas of functioning.” In other words, the tendency of these children to stay by themselves or to engage in behavior others might consider odd puts them at risk of not learning skills they need to succeed in society. There is no cure for autism, but the disorder can be treated. This varies with the type and severity of the autism. At one time the disorders classified in the Autism Spectrum Disorder were considered separate disorders. Asperger’s Syndrome was one of these. It has since been identified as a disorder on the high-functioning end of the autism spectrum. Children with autism must be kept on a regular schedule. Any change can be traumatizing for them and difficult for the classroom. It is important to structure their environment as much as possible, too. They need consistent rules, and that may be difficult to do in a classroom with “normal” students. Children with autism get frustrated easily and there are often disruptive behaviors. People who have an educational background in working with the disorder can optimize the learning experience for children in a separate class, and keep a balance where other children can learn when the autistic child is included in a regular classroom. The first step to take if you want to work with these children is to get your bachelor’s degree in education. You will want to specify a concentration in special education. You may get a certificate in autism spectrum disorders at this time, but it is also recommended you have a few years of experience too. You will need this to get your teaching license anyway, so it is time put to good use. Then, you should go back to earn your master’s degree. 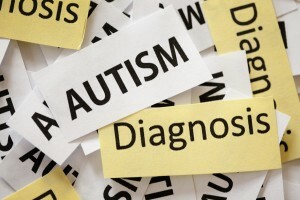 You will probably choose a concentration in Autism Spectrum Disorder. Courses in this major include literacy instruction, cultural issues, educational research and special education assessment, among others. You might even consider a dual major, adding applied behavioral analysis. If there is no degree option for Autism Spectrum Disorder, complete your education degree with a concentration in special education. Then, after graduation, you can get a certification in ASD. This typically consists of 12 to 18 credits. Teachers are in short supply right now, and especially those with the skills and knowledge to work with autistic children. If you want a career as a teacher who works with this population, you should specialize your education degree in autism spectrum disorders.